As part of Innovate@Emory Day on Thursday, April 18, a University-wide Innovation Showcase will highlight selected innovative ideas, technologies and inventions developed at Emory. 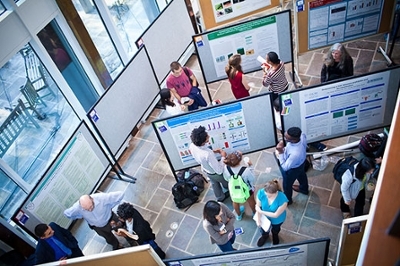 The poster session is sponsored by Innovate@Emory and the Office of the President, in collaboration with the Office of Technology Transfer. Featured technologies will include nanoparticles for delivering immunotherapy drugs, enhancing delivery of gene therapies, cystic fibrosis technology, biological pacemakers, new types of antidepressants, and cell therapy for cardiovascular disease. The event will be held from 2:30-4:30 in the 2nd Floor Atrium of the Atwood Building, 1515 Dickey Dr. The Innovation Showcase is open to Emory faculty, staff, and students and to the greater Atlanta community. Light refreshments will be served. RSVP through the Innovate@Emory website.